The Gist: Cancer research with Vincent DeVita and Keith Ablow on Fox. In the wake of the San Bernardino shooting, a reminder that the most dangerous conclusions to jump to are about Muslim Americans. 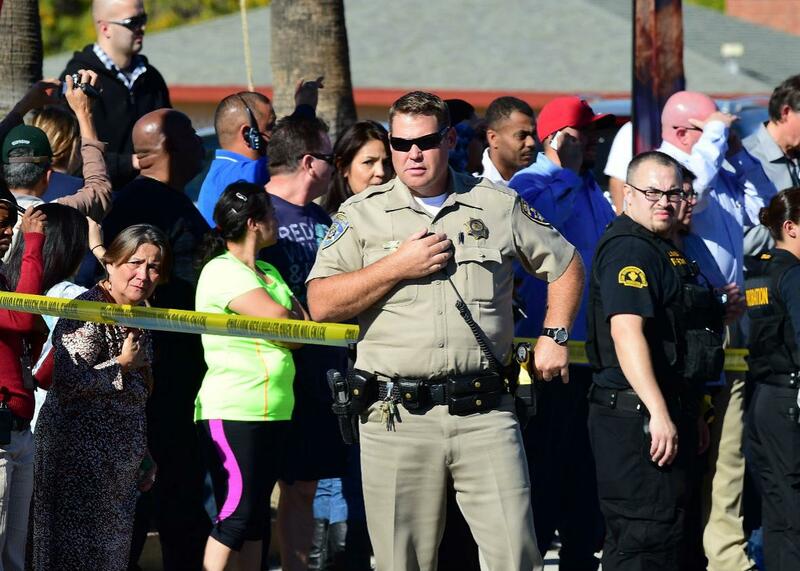 A crowd gathers behind police line near the scene of a shooting on Dec. 2, 2015, in San Bernardino, California. Photo by Frederic J. Brown/AFP/Getty Images. On The Gist, Mike discusses the fast-moving field of cancer research with doctor Vincent T. DeVita, and his daughter, science writer Elizabeth DeVita-Raeburn. Together they wrote The Death of Cancer. For the Spiel, a rhyming response to Keith Ablow’s comments on Fox News. Read more of Slate’s coverage of the San Bernardino shooting. Harry’s, the shaving company that offers German-engineered blades, well-designed handles, and shipping right to your door. Visit Harrys.com for $5 off your first purchase with the promo code THEGIST.